Technology, like dual-purpose cash and check scanners, has improved operations in municipalities across the country. A shift toward electronic tools and away from paper processes ushered in an age of increased efficiency, better service and common-sense reforms among local government offices. From streamlining administrative tasks to enhancing the fight against crime, technology has positively impacted every corner of local and regional authorities. Read on to discover the cutting-edge tools municipalities are finding useful in their communities. When a municipality or local tax office is taking in bills and checks, they need a reliable way to ensure this currency isn't fraudulent. Otherwise, they could find themselves shortchanged and in the midst of a major legal issue. 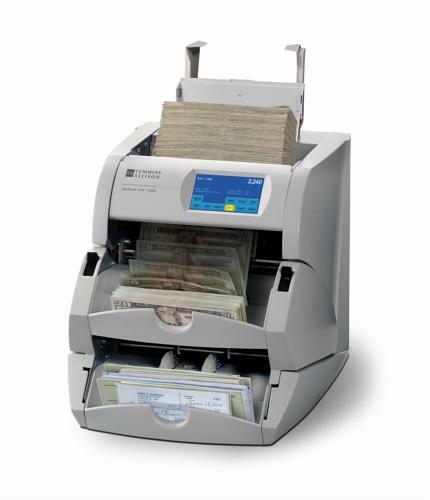 As such, dual-purpose cash and check scanners are absolutely essential for government offices. Consider the JetScan iFX i100, which provides an additional layer of efficiency and support. This technology features services like check scanning and archiving, mixed bill processing and electronic deposit processing in addition to state-of-the-art counterfeit detection. Dual-purpose cash and check scanners increase accuracy, save time and enhance the productivity of governmental operations. Although social media networks began as a method of staying in touch with friends and family, they've become indispensable tools for businesses, brands and government offices to connect with their target audiences. Channels like Twitter, Facebook, Instagram and YouTube open up an additional line of communication between municipalities and the citizens they serve. Not only can this help get constituent concerns resolved in a more efficient manner, it also enhances governmental transparency and creates a climate of trust. The Harvard Business Review noted that the adoption of social media outlets by municipalities is mainly an example of how local offices can be influenced by the people they serve. Widespread use of social networks and digital communication means that people no longer take kindly to outdated contact methods. "Local governments, however, have too often offered a different experience: forms that have to be printed and mailed, payments taken only in cash or check, appointments that have to be conducted in person and in offices open only from 9 a.m. to 5 p.m. (or 9 a.m. to noon on Fridays). This experience increasingly clashes with what city residents have been trained to expect from the likes of Zillow, Kayak and Yelp," explained the source. Cloud-based innovations have already started changing the way the world works, and consumers are excited by the convenient, interesting and multipurpose uses they offer. From digital software you can access across multiple devices to self-driving cars, the cloud is being integrated across all spectrums of technological progress. The national government has already embraced the idea of using the cloud to enhance its operations, explained Nextgov. In 2011, it passed the Federal Cloud Computing Strategy, which required certain government entities to look into adding cloud technology to their processes. Over the past few years, agencies have done just that, and the trend of applying cloud technology to government procedures has made its way to the local level. Nextgov projected that municipalities will start to adopt cloud technology en masse over the next few years, especially as they see how effective it can be at cutting costs and freeing up resources. Cloud technology has the ability to streamline and minimize IT systems that are too complex or out of date and can transform daily operations from the ground up. The source noted that the cloud is also becoming a go-to solution for safely storing and sharing large amounts of data, which could also be of great benefit to municipalities.